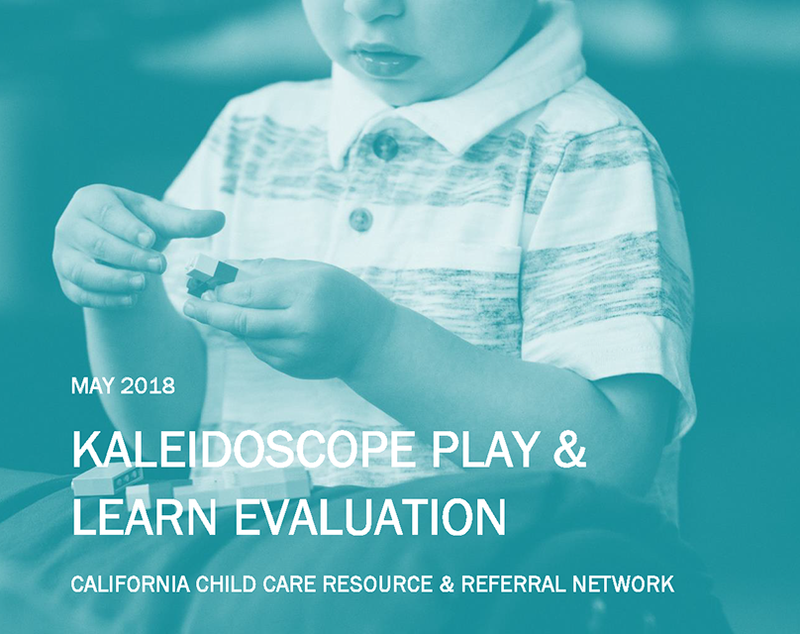 With funding from The David and Lucile Packard Foundation, the California Child Care Resource & Referral Network (the Network), in partnership with Engage R+D, assessed the impact of a California pilot of the Kaleidoscope Play & Learn model. The learnings highlighted in this report are based on interviews with Kaleidoscope Play & Learn facilitators, supervisors, and caregiver participants that were conducted between January and March 2018. This report also includes findings from the Agency Feedback Survey and a Caregiver Feedback Form administered by the Network. If you would like to learn more about Kaleidoscope Play & Learn in California and the evaluation process, please watch the webinar presented by Domenica Benitez, Director of Provider Services, CA Child Care R&R Network, and Erika Takada, Engage R+D.